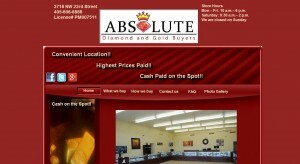 Absolute Diamond and Gold Buyers address, phone, website, hours of operation, and more. Whether you have old, used, or broken jewelry we are the gold buyer for you ready to pay you top dollar. 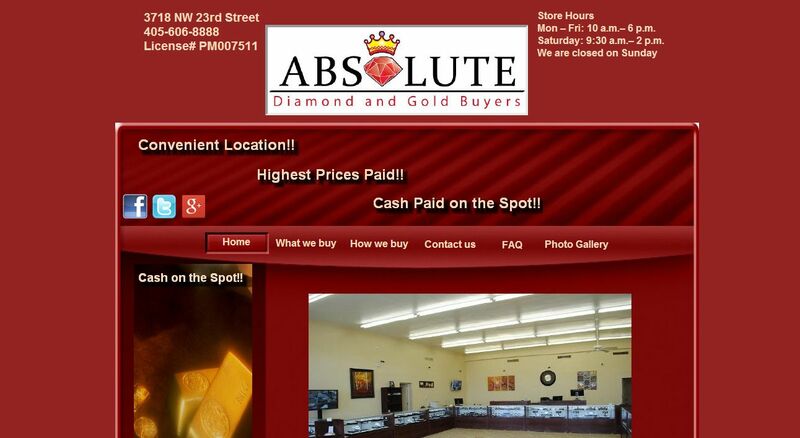 Absolute Diamond and Gold Buyers is up for the challenge with a professional and friendly staff that will evaluate your items while you wait and pay you cash on the spot!Have diamonds that you no longer need? We are a reputable diamond buyer and we pay top dollar for your diamonds no matter the size. Did you know that the 1964 and older U.S. dimes, quarters, half dollars, and dollars are 90% silver? As a reputable coin dealer we pride ourselves on paying a fair price for coins focusing on key dates and rare coins.